Mt. Vernon Triangle is in the midst of a serious makeover, with shiny new luxury high rises popping up all over the place. But amidst all the beautiful new construction, one eyesore still stands strong on K Street next to the City Vista complex: Museum Square. Last week, the building’s owners filed an Offer of Sale with a pricetag of (drumroll please)….$250 million. The building has 302 units. Which means they are asking about $830,000 PER UNIT. People, please. You know some developer is going to snap that building up eventually, but who in their right mind would pay that price for a building in that condition? I can’t wait to see how much it actually sells for, and REALLY can’t believe the audacity of these owners to ask for so much. This is DC folks, not Manhattan! Other fun facts about the building from DistrictSource.com: The 89,710-square-foot lot sits on just over 2 acres at 401 K St. NW and had a tax assessed value of $32.5 million in 2013. The existing building has 302 apartment units and 6,500 square feet of retail fronting on both K and 4th Streets, NW. Yummy News for Mt. Vernon Triangle! The folks behind Georgetown’s Baked and Wired have officially announced that they are bringing a new concept to the Lyric Building in Mt. Vernon Triangle! The building is at 5th and K NW, right across from City Vista, and their space is roughly 4,000 square feet. Unlike Baked and Wired, their new concept will have a much heavier emphasis on savory offerings, and less on the sweet side. 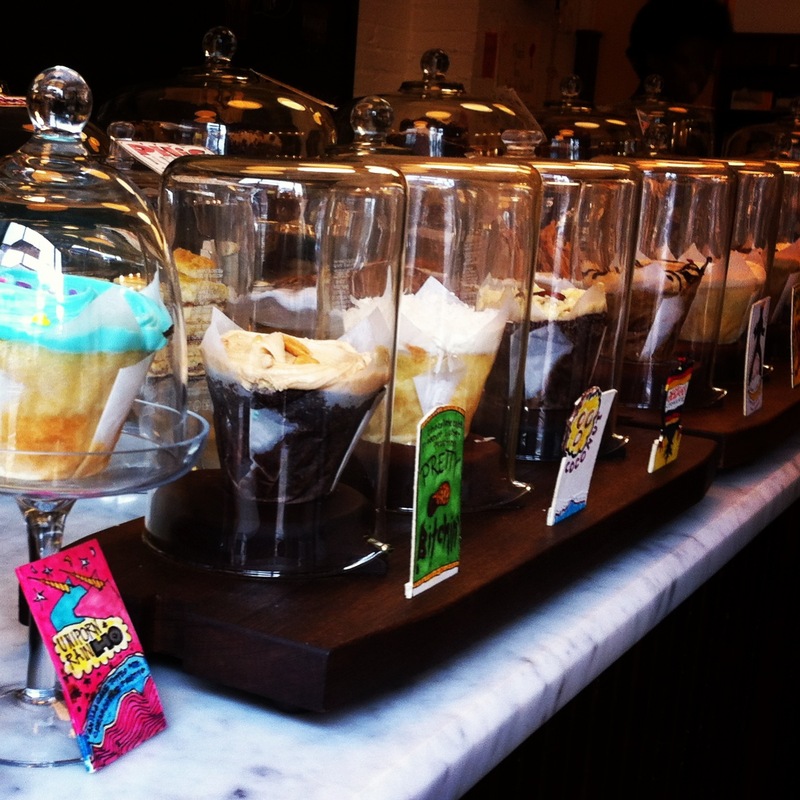 In fact, as of now they are saying they won’t offer their wildly popular cupcakes at this shop at all – instead opting for pies and bar cookies as their sweet offerings. (In my humble opinion, if they know what’s good for their business, they’ll change their minds about that particular decision pronto.) 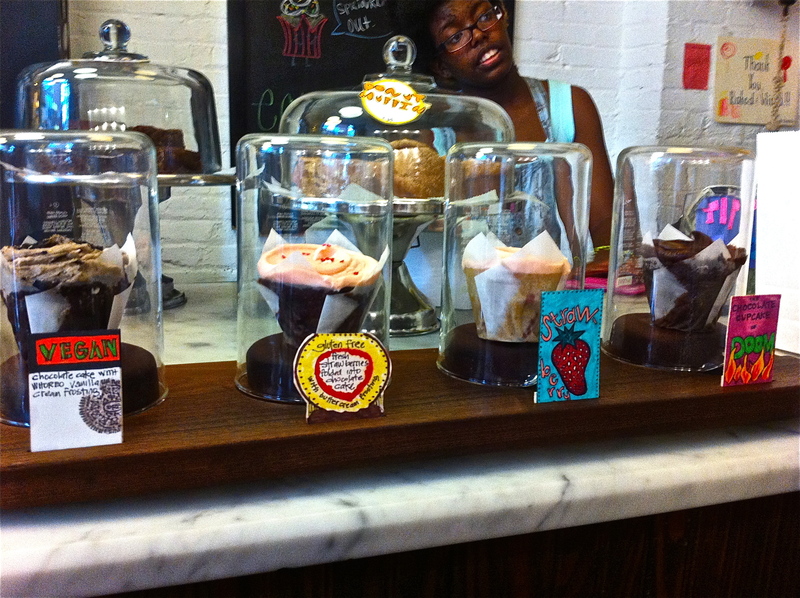 That said, customers can call ahead and place special orders for treats from Baked and Wired to pick up at the new spot. The new cafe will focus heavily on artisanal breadmaking, which is GREAT news for a local food community that has long lamented the lack of truly great bread in this city. They will also offer an “artisanal toast bar.” Yup, toast. The artisanal toast craze began in San Francisco (big surprise), and is apparently making it’s way to DC. In addition to toasty slices of their fancy breads, the new shop will offer a variety of sweet and savory house-made spreads to top your toast with. And while I can’t totally get behind the idea of fancy toast (I still can’t say “artisanal toast” without rolling my eyes), I have to say that some of the spreads sound downright delicious: Nutella + sea salt, peanut butter, banana, + honey, salmon + chive cream cheese, and avocado + sea salt. The cafe will offer a simple weekend brunch, featuring things like “cinnamon rolls, Belgian waffles, poached eggs with prosciutto, and, of course, toast.” – J. Sidman, Washington City Paper. There will also be a small market inside the space, and the occasional pizza night. Italy-philes (yup, I’m just making up words now) rejoice! UrbanTurf just broke the news that Eataly has signed an LOI (letter of intent) to sign on as a tenant of the huge Capitol Crossing development planned for the spot where 395 dead-ends into Mass Ave. I recommend cautious optimism for now: an LOI is NOT a signed lease, so there is no guarantee that this will go through; and at the earliest, Eataly would open in 2017. Eataly has signed a letter of intent for somewhere in the vicinity of 30,000 to 35,000 square feet of retail space at the massive Capitol Crossing project planned for above I-395 of Massachusetts Avenue NW, UrbanTurf has learned. Since 2011, there has been talk that the massive Italian gourmet market-bar-restaurant combo might be coming to DC, but the news that an LOI has been signed is the first concrete sign that the project is moving forward. 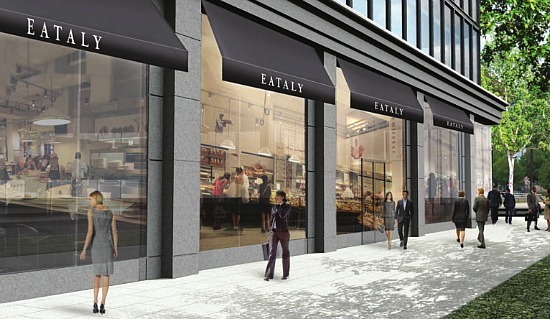 Eataly could go in at the corner of Massachusetts Avenue and 3rd Street NW (map), but that location has not been finalized. Now, it should be noted that Capitol Crossing, the 2.2 million square-foot, $1.3 billion project planned around and over the Center Leg Freeway portion of I-395 (map), is still several years from completion, meaning that Eataly wouldn’t arrive until 2017, at the earliest. 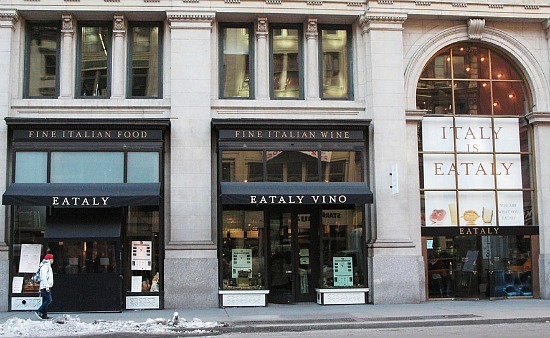 And, an LOI is just the first step in securing a tenant, so there is always the possibility that Eataly could back out. A rendering of the retail space at Capitol Crossing. Developed by Property Group Partners, the plans for the mixed-use development include four office buildings, totaling 1.9 million square feet, and one 150-unit residential building, as well as five levels of underground parking and a retail component. The plans also include public spaces, like a promenade and outdoor plazas, and on-site child care. The project will reconnect several DC neighborhoods, easing the path between Capitol Hill and downtown. Eataly is an Italian food lover’s dream. The New York City location includes 50,000 square feet of Italian restaurants, wine bars, bakeries and food stands that has become a favorite destination of foodies and tourists alike. Representatives from Eataly did not immediately respond to comment for this article, but we will update it when we receive a statement. Mt. Vernon Triangle is Hot! 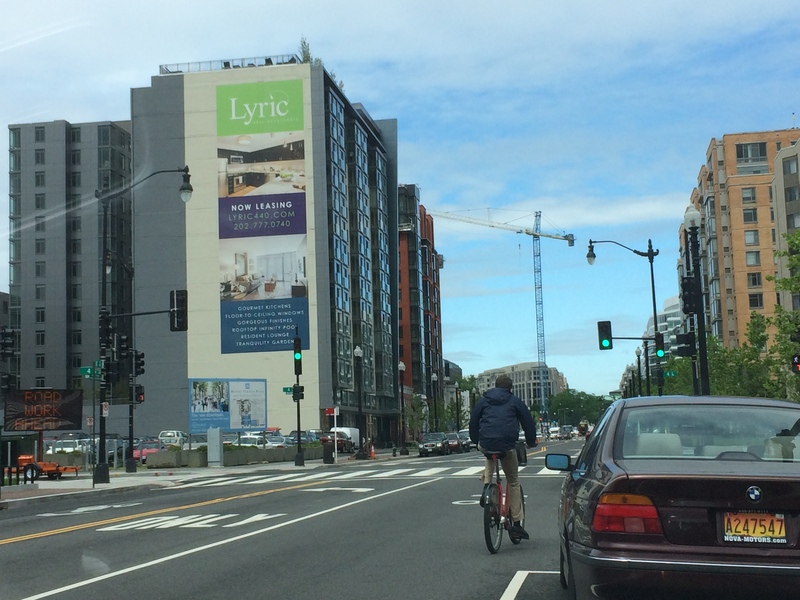 The Washington Post reported today that more new condos are coming to Mt. 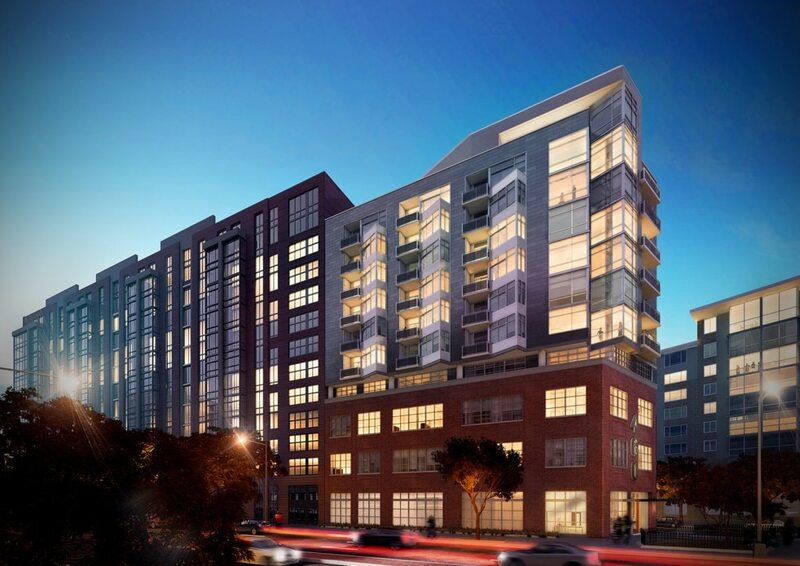 Vernon Triangle courtesy of Bozzuto Homes. 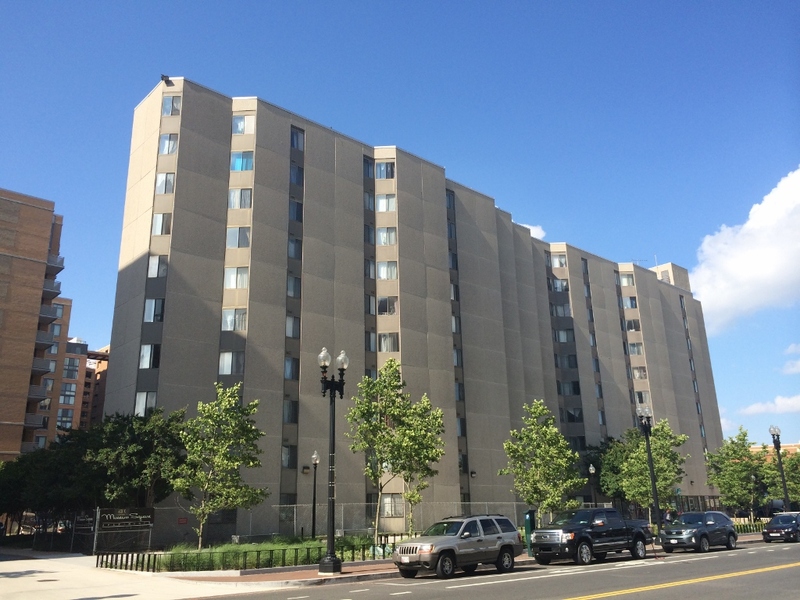 The development – cleverly named 460 New York Avenue – consists of a 63-unit, 11-story high rise building at the corner of 4th and NY Ave NW. Per The Post, “The lower levels of the building were created from a converted brick loft-style warehouse, while the upper levels are constructed of metal and glass designed byWDG Architecture.” The building will have all the luxury bells and whistles: marble lobby, concierge, rooftop patio, community lounge, and even a handful of garage parking spaces. Prices start in the $300’s, and sales should get started next month. Give me a shout if you’d like to learn more about the building, or better yet, if you’d like to go take a look!